Previous: Did Drake Inspire Davido’s $5000 Donation To Rwandan Music School Students? From the early signs and trends, it was easy to predict that 2018 would be seeing a lot from Olamide. 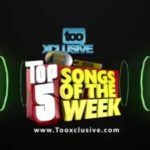 While some artistes are still testing the waters, Olamide has already taken a deep dive with the release of a song which has become such a huge deal even though it is just as criticized, just as much as it is celebrated – the lyrical content of Olamide’s ‘Science Student’ has become a major talking point in the country such that it has caused a divide between listeners who think it promotes social vices like drug abuse, and others who comprehend the wordings of the song to subtly tell off drug abusing youths. 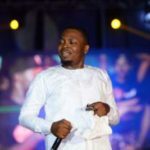 The National Broadcasting Corporation (NBC) took sides with the former which led them to deem the song ‘unfit for broadcast’ but Olamide seems determined to prove the innocence of his song with the release of the video. Read the thoughts of TooXclusive team members about the video of ‘Science Student’ and share your thoughts in the comment section below. 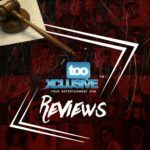 @ibironketweets I was expecting a regular ‘street’ arrangement with happy scenes showing people come together to revel in the awesomeness of numbing substances like ‘weed’ but it was nice to see Olamide, with the help of Unlimited LA and his YBNL day-ones, pull a new trick on this one. 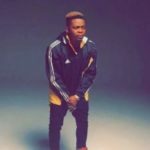 The video is an okay attempt at suspense-filled drama and Micheal Jackson-like choreographing of the trending Shaku Shaku dance, also taken by Olamide as a chance to prove that ‘say no to drugs’ is his original message on the song as against the perception of NBC and the association of social media critics, even though Olamide seemed to try t0o hard in the video, to convince his critics – repetitive scenes showing ‘say no to drugs’ and the caricature horror representations. I like the idea that inspired the video, the newness and the attempt at ingenuity but for this song, something simpler and convincing like Reminisce’s ‘Ponmile’ video would have been apt. Olamide should have measured his attempt at convincing the NBC official who by the way, I doubt if they listen to some of the songs they ban. Nice try Olamide, but it could have been simpler and yet electrifying. @tommy5smith Science Student video is a dope one from Olamide. Before I proceed I would love to give much credit to Kaffy for the great performance herself and her team of dancers delivered in the video. From the arrangement of the set to the choice of costume and the ingenious delivery of MJ’s dance moves on the Shaku Shaku vibe… Awesome stuff! The only thing I have against the video is the issue of the ban and how Olamide reacted to it. He seems to play way too safe in the video. So over to you. 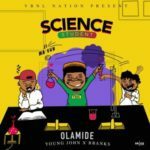 Did Olamide play it too safe, or was he trying too hard in the video for ‘Science Student’?“”Science Student” Video – Olamide Playing It Too Safe Or Trying Too Hard? Your Thoughts.”, 5 out of 5 based on 3 ratings. Abeg let him play too safe lool. Those NBC too dey ban his music jare. My guy doesn’t want any story from them. Everyone should shot up including tooxclusive talkatives,been observing ur personal hatred on olamde as you have nothing good to say about him over the years.its just to bad to hate a great effort and ideas put into this video,each time olamide releases a song, it is different from others usual idea. Let’s be appreciative,or if its easy go give it a try. This is one video have played repeatedly bcos it is captivating from all angle,and I hope wished that gets award for its hard work. Lazy critics,too blind to see.